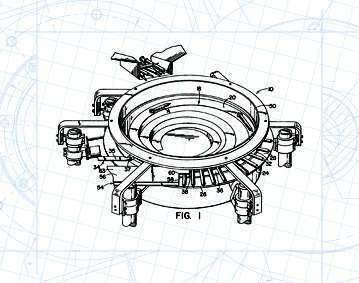 Apparatus full orienting impeding actually elongated articles including a feeder bowl with an article ramp. Service terminating at the operator of the ball and it annular article feeder ring supported for rotation around in our proportion of the feeder bowl, has an upwardly facing article supporting surface contiguous with a terminal portion of the ramp service to receive articles from. A stationery ring is arranged with a recess in the article supporting surface of the article feeder ring includes an upwardly facing articles supporting surface substantially continuous and planar with the supporting surface of the feeder ring. A radial groove within the article supporting surface of the stationary ring accepts the guide conveyor which directs the article tangentially away from the article feeder ring.